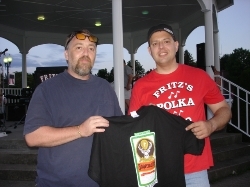 Fritz presents an FPB/Jager shirt to his good friend, Aaron DeShane, on July 1, 2008 in Sherrill, NY. Fritz hadn't seen Aaron since 1999, as Aaron moved out of New York. Fritz, Frank, George, and Gabe are pictured here toward the conclusion of FPB's gig on July 1st in Reilly-Mumford Park in Sherrill, NY. 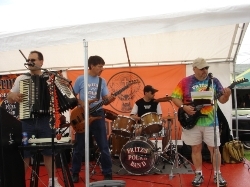 Fred, Fritz and Gabe (partially blocked by the Jager decorations on Fritz's mic stand) are pictured here during FPB's gig in Sherrill, NY on July 1, 2008. 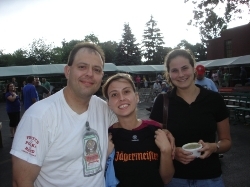 Fritz presents a Jager stretchy shirt to Lisa, as her friend Crystal looks on during FPB's gig at the St. Hyacinth Picnic in Auburn, NY on June 29, 2008. 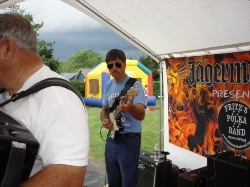 Fred (part of him) and Frank are shown here during FPB's gig on June 29th in Auburn, NY. (Note the storm clouds approaching behind Frank). 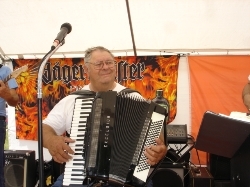 With a Cayuga County Sheriff patrol car nearby, Fritz presents Julie with a Jager stretchy shirt on June 29th at the St. Hyacinth Picnic in Auburn. 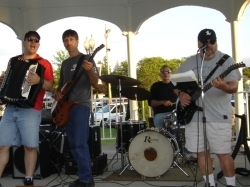 Fritz, Frank, Rick, and Gabe are shown here during FPB's second set on June 29, 2008 at the St. Hyacinth Picnic. Fred with his Excelsior in Auburn, NY on June 29th. 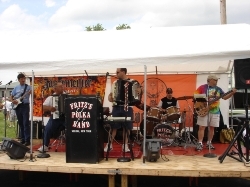 Fritz's Polka Band rips through a tune on June 29th at the St. Hyacinth Picnic in Auburn, NY. 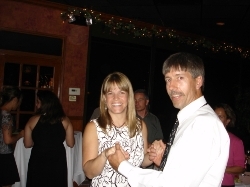 Frank is shown dancing with a volunteer from the audience, during FPB's third set on June 28th in Endicott, NY. 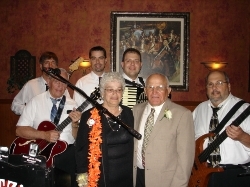 Members of FPB are pictured here with Elgie & Joe, who celebrated their 50th Anniversary on June 28, 2008 in Endicott, NY. 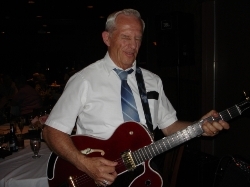 During FPB's gig in Endicott, NY on June 28th, Tom proves he can play guitar with his eyes closed. 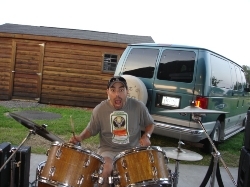 Rick drums along on June 27, 2008 in Hudson, NY. 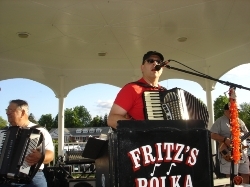 Fritz and Frank are shown here just prior to FPB's second set on June 27th in Hudson, NY. 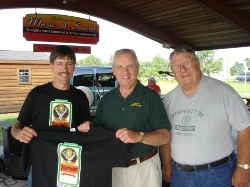 Frank and Fred present an FPB/Jager shirt to John Rutkey, prior to FPB's gig at the Town of Greenport Summer Concert Series in Hudson, NY on June 27, 2008. 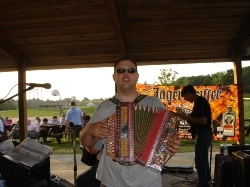 John booked FPB for the event (Thanks, John! ).